I am a fortunate person. 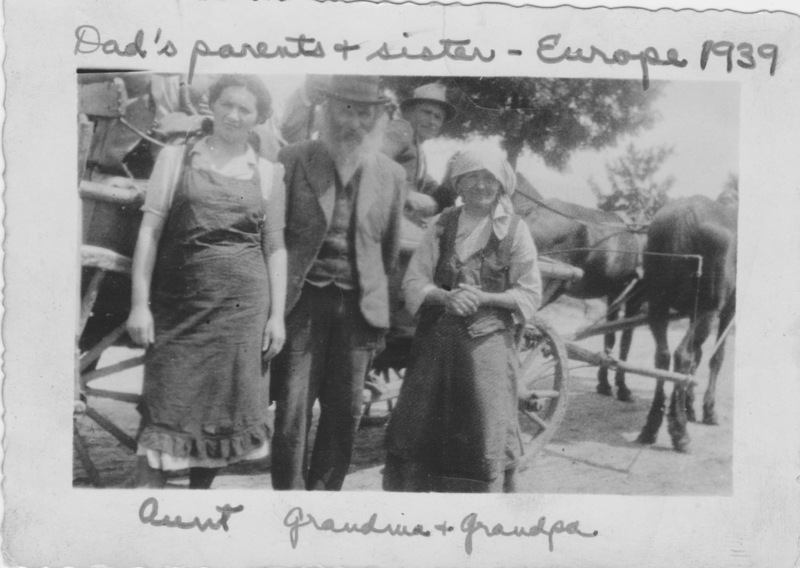 My paternal great grandparents immigrated to the United States in the 1880s, and my maternal grandparents arrived in the early 1920s, before the Immigration Act of 1924 severely limited immigration and imposed a strict quota system. It was a bigoted act designed to limit immigration of Africans as well as Southern Europeans and Eastern Europeans. It actually banned the immigration of Arabs and Asians. It was due to this horrible act that so many Jewish people trying to escape Nazi Germany were banned from entering the United States and were murdered. Finally, the Immigration and Nationality Act of 1965 was passed and enacted on June 30, 1968, just in time for a Fourth of July celebration. It ended the strict limits of the quota systems and allowed preference visa categories that took into account an immigrant who had family members who were citizens, as well as an immigrant’s special skills. 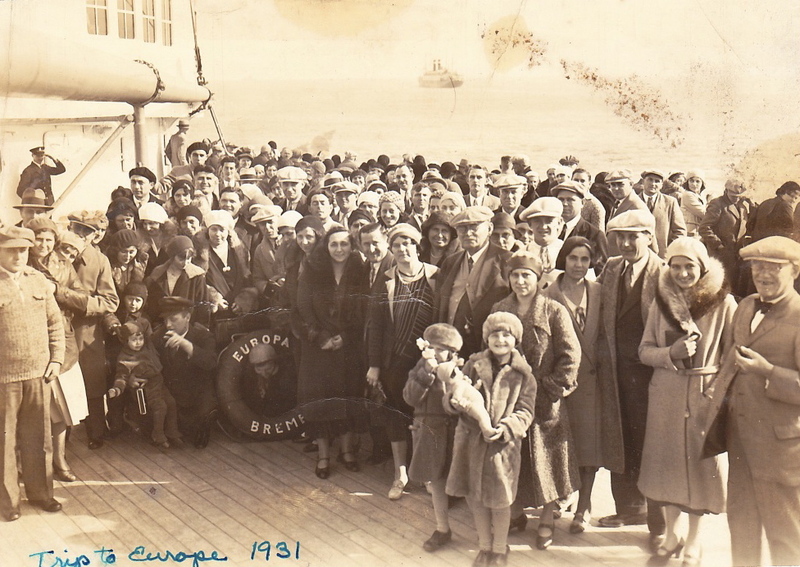 Think of what this act might have meant for tens of thousands of Jews stuck in Europe. In my own family, the 1924 act caused the death of my grandfather’s family. He was able to get Visa’s for his parents, but not for his siblings. His parents refused to leave. And so everyone perished in the Holocaust. My grandmother was able to get a visa for her father and younger sister, but not her brothers. Fortunately they survived. But the world changed on September 11, 2001, and along with it views on immigration. People got scared. We began to allow fear to rule the country. And if we do that, we let the terrorist win through fear. That is what they want. We seemed to have gone back to the ways of the 1920s, when the white men in power seemed so afraid of those that were different. Many restrictive laws were enacted before women had the right to vote. The 19th Amendment was only ratified on August 18, 1920. At first many women did not vote. It took time for women to stand up and have their voices heard. I cannot prove that having women’s votes changed the direction of the United States, but I believe that women voters have influenced many aspects of life in the USA. The fact that we now have three women on the Supreme Court has made a difference. The fact that we have women in office on all levels of government: local, state, national, has made a difference. The fact that we have had women running for the two highest offices in the USA: vice president and president, has made a difference. I am so proud and glad to be a citizen of the United States of America. I am so glad that my ancestors made the journey to the USA in times that were so difficult and were allowed to settle here and become citizens. We must not let fear of the other make us forget that the United States was founded by the ‘other.’ Everyone who signed the original Declaration of Independence was the descendant of an immigrant. We were not perfect. The treatment of the Native Americans and slave ownership was not right. But the founders did their best with the information they had. The Constitution helped them make changes to reflect the society. Slavery ended, women got the right to vote. And we must side with the victim. We are a country founded by people searching for religious freedom, searching for a place to live with freedoms and the rights to be as equal as anyone else. This Fourth of July, we must not give in to fear and hatred. We must protect those fleeing from war. We must not become a bigoted, hateful country. We must remain the defender of the victim. That is the heritage I want to rejoice on this July Fourth. My husband and I took our children to Vienna in 1999. We went to Austria and Hungary primarily to see the total eclipse of the sun. But our tour started in Vienna. I was not sure I wanted to go there. My grandfather was from Galecia, when it was part of Austria. His entire family was murdered in the Shoah. So should I go to a place that hated my family, my people and my traditions so much? But on the other hand, my grandfather also told me that he bought his property and built his bungalow colony in the Catskills because the hills reminded him of his home. I wanted to see that part of Austria. And I did, when we left Vienna to go into the Vienna Woods, into the rolling hills above the city, I saw what he meant. It did remind me of the Catskills. And I understood that even though he would never, ever leave the USA. That he would never go back to Galecia, he still had that piece of home in his heart when he was in the Catskills. In Vienna we also saw the Hundertwasser haus designed by Friedensreich Hundertwasser. Born, Friedrich Stowasser, the son of a Jewish mother, as a child, he and his mother posed as Catholics during the war. His mother lost almost 70 members of her family. When we went up into the mountains, we stayed at the Bad Blumau Spa, which he designed. My son called this place the wacky hotel. It was an amazing spot. It is a place of beauty and peace designed by a Jewish man who was able to survive and provide beauty to the world. While in Vienna, I made sure that my children went to the Jewish Museum and to the Judenplatz, the area of Vienna where most of the Jews had lived. At the time there was no memorial to the Shoah or an additional museum to memorialize what happened there. When we went, the central grounds in the Judenplatz was in the midst of construction. There were signs about what would be built there. And there was a plaque on one of the buildings describing, in German, what had happened during the war, after the Anschluss with Germany in March 1938. We stayed for three nights in Vienna. Because we were traveling as a family of four within a tour group, the hotel reservations clerk upgraded our hotel rooms from two small rooms next to each other to an actual apartment suite that was on two floors. It was a lovely suite. We had a view of the city. Our children loved this elegant accommodation. But the entire first day, I felt unsettled. On Saturday morning, as we were eating breakfast in the hotel dining room, I heard chanting and prayers. I followed the sounds and found several women sitting in a hallway outside a room where a traditional Shabbat service was being held. I was amazed. There was still a Jewish presence in Vienna? People were celebrating Shabbat here? We were not the only Jews in the city? I felt a bit comforted that the hotel we were staying in allowed Jewish services and provided a spot for those who wanted to celebrate the Shabbat and keep kosher. A bit of my angst left me. We did all the tourist stops in Vienna. We went to the Schonbrunn Castle; The Belvedere; and the Spanish Riding School, home of the Lipizzaner horses. I had to see the Spanish Riding School, because I remember seeing the Disney movie, “The Miracle of the White Stallions,” as a child and have always been intrigued by these horses. At the Schonbrunn Palace we learned about Sisi, Empress Elizabeth of Austria and her very long hair! I bought souvenirs, some lace, white ceramics, gifts for the children, and of course post cards of art work from the museums, including the beautiful Klimt paintings. They were magnificent. The Klimt paintings, especially the one of the woman painted and then covered in gold, was amazing. But there was much going on in the background of that painting that we did not know. There was no mention that the woman in gold was stolen from a Jewish home during the Shoah, along with other artwork. My views of Vienna changed again when I went to see the movie, “The Woman in Gold” and found out the true story of this painting and others like it. I had a totally different reaction than when I saw the “Miracle of the White Stallions” so many years ago. Although “The Woman in Gold” has not received wonderful reviews, I found it fascinating. Perhaps with my somewhat Austrian roots and my previous time spent in Austria and Vienna, I related on to the film a different level. Perhaps because my family was destroyed after the Anschluss, so I felt the story on that level as well. Of course my family was not multi-millionaires. But they did own a farm and property that was all stolen. And they did suffer through the murders and destruction. I wish the movie shown that Maria Altman had children, grandchildren and great grandchildren. The Maria in the movie seems to be alone. And that was not the case. I wish the movie shown her triumphant in her life as well as in her fight against Austria to win the return of what belonged to her family. For me the continuation of her family, as well as the return of the stolen property would have made the story even stronger. Not only did she get the beautiful Klimt, but she also made a lovely life. I do not know if I will ever go back to Vienna. But I know that with the rise of anti-Semitism in Europe and around the world, we cannot stand back and say nothing. So I am glad that movies such as “The Woman in Gold” have been made and are shown throughout the world. Vienna in 1999 was a different Vienna than in 1938, but now I know that they were still not facing the truth of what had happened. Vienna is a beautiful city. This is a fact. The pastry shops, the museums, the buildings, the parts are all stunning. But behind the facades, for me, will always be the homes, art, jewelry and lives taken.